Twin Cities fans eager for Michael Kiwanuka’s long-awaited return to town in support of his ambitious sophomore album are going to have to wait a little longer: The British soul-rock singer of “Home Again” fame has cancelled the remaining dates on his North American tour due to tonsillitis, including Sunday’s sold-out performance at the Cedar Cultural Center. 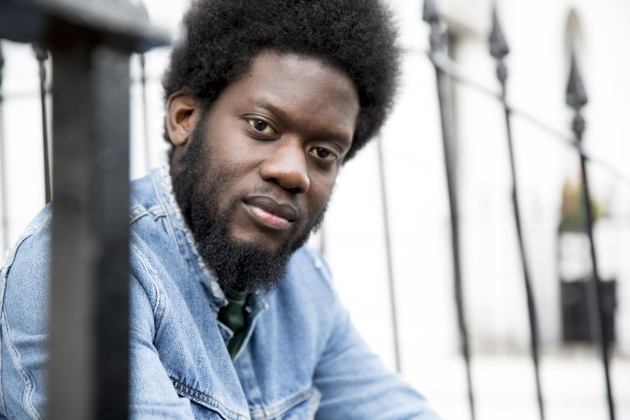 "Michael Kiwanuka regretfully announces the cancelation of his entire North American tour, tickets to be refunded at point of purchase. He has vocal damage and has been diagnosed with tonsilitis and under doctor’s orders, is unable to perform." There’s no word of any make-up dates. If it is indeed a "cancelation" as the note says, refunds will be given to ticketholders. The timing of the cancellations is unfortunate, since Kiwanuka’s topical, Danger Mouse-produced album, “Love & Hate,” is starting to show up on many year-end lists, including Rolling Stone’s. He took four years to make the follow-up album, and his star rose in that time – so much so, one wonders if he won’t have to play First Avenue’s main room instead of the Cedar whenever he does reschedule (First Ave staff booked the Cedar show). Turn yourself in, pleads son of woman killed by hit-and-run in Mpls.